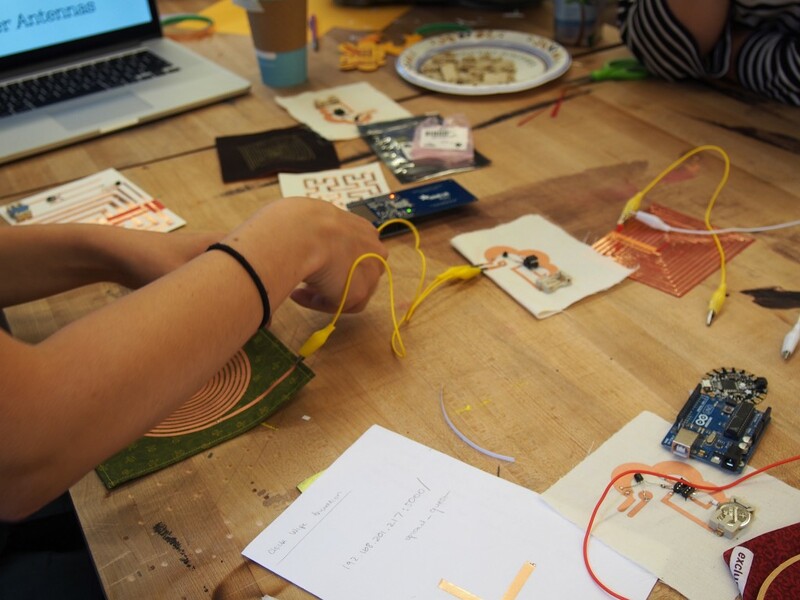 Crafting Resistance is a series of workshops exploring the intersection of craft, design, technology, and activism. 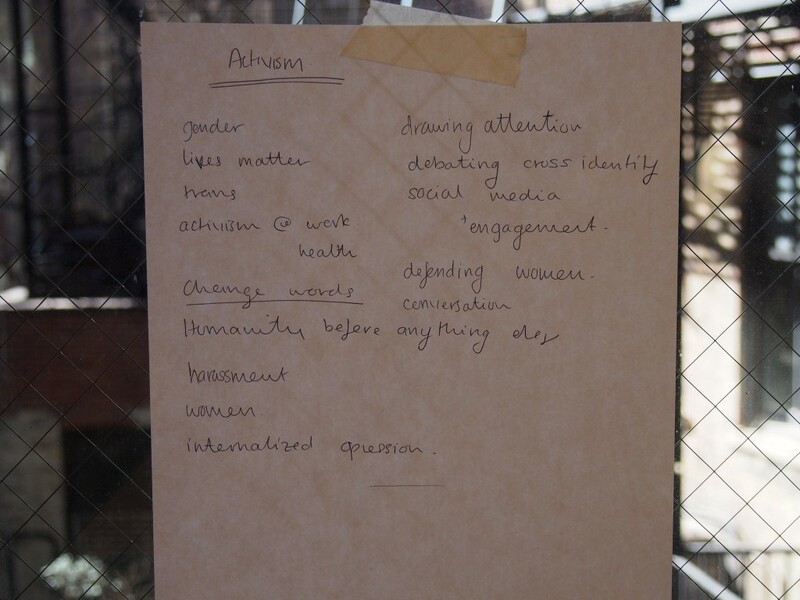 These fields have been used throughout history as tools for political, social and personal resistance. 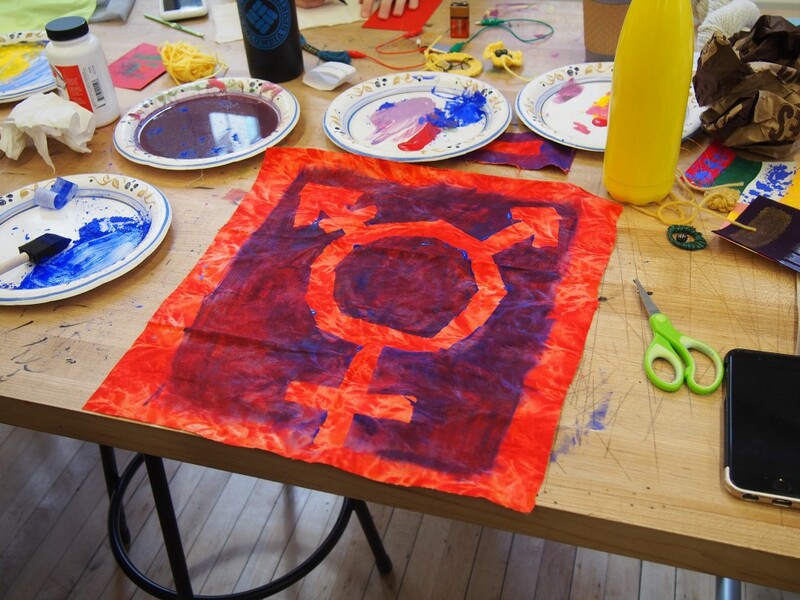 How can we amplify these messages of resistance by combining techniques, tools, and materials from each field? 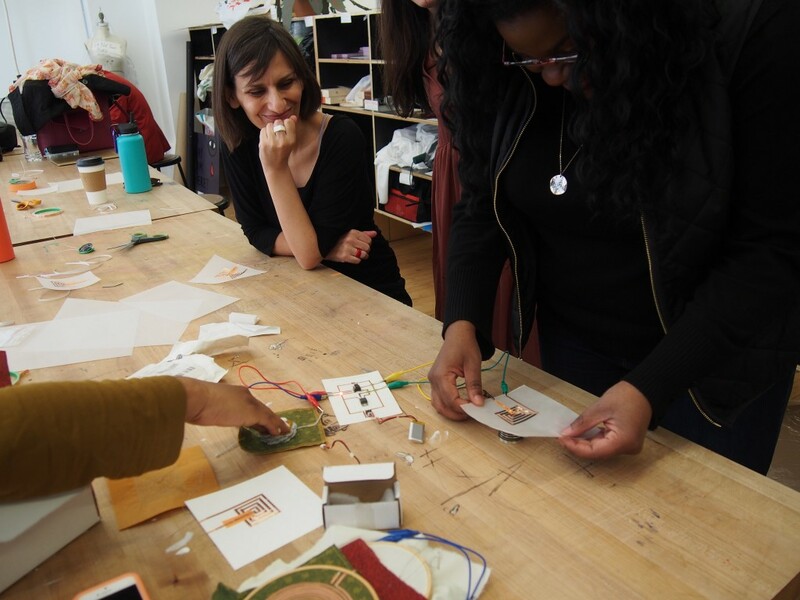 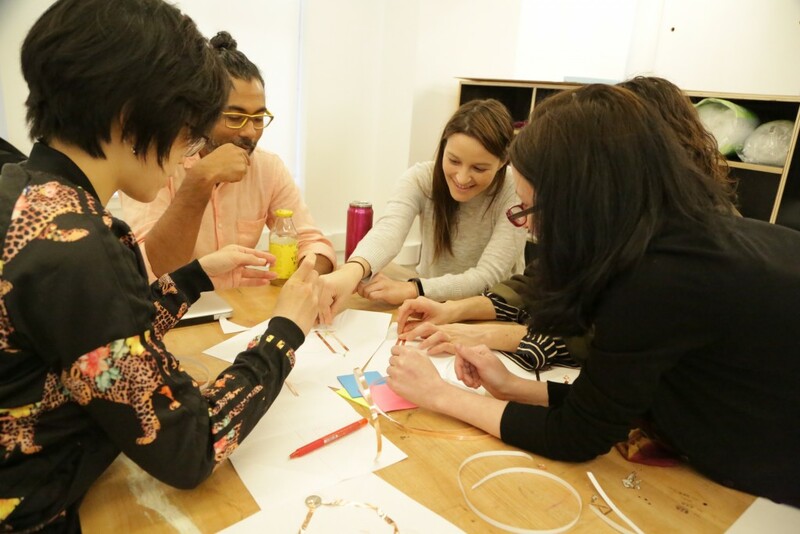 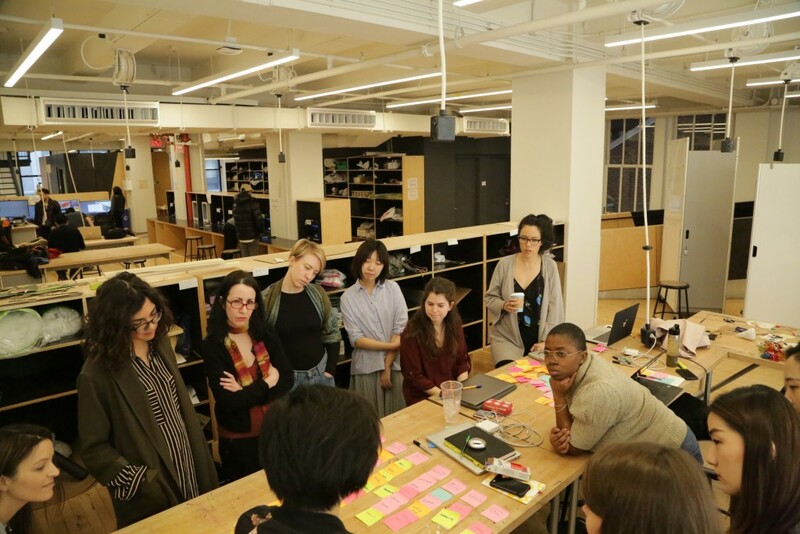 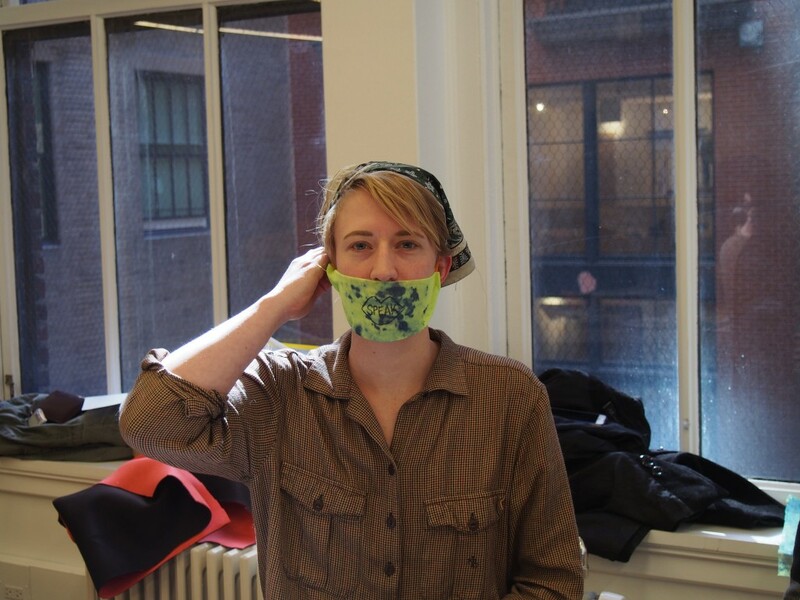 In this beginner workshop participants explored the intersection of craft, design, activism and technology through the lens of eTextiles and eCrafts. 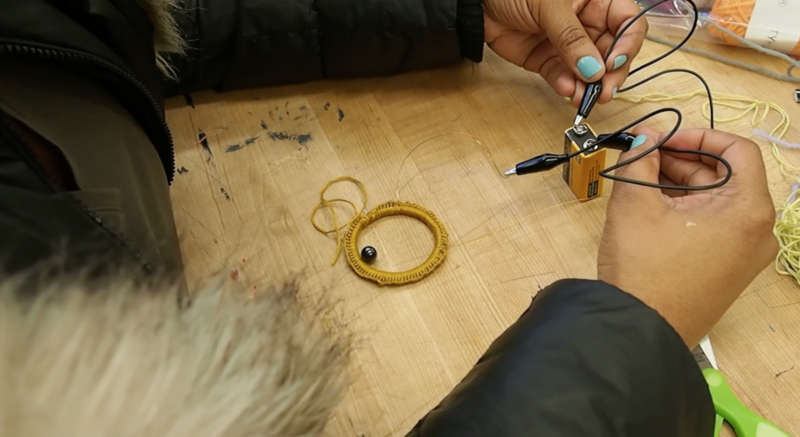 They received an introduction to the fundamentals of eTextiles & eCraft, experimented with conductive materials, and learned soft circuit construction techniques. 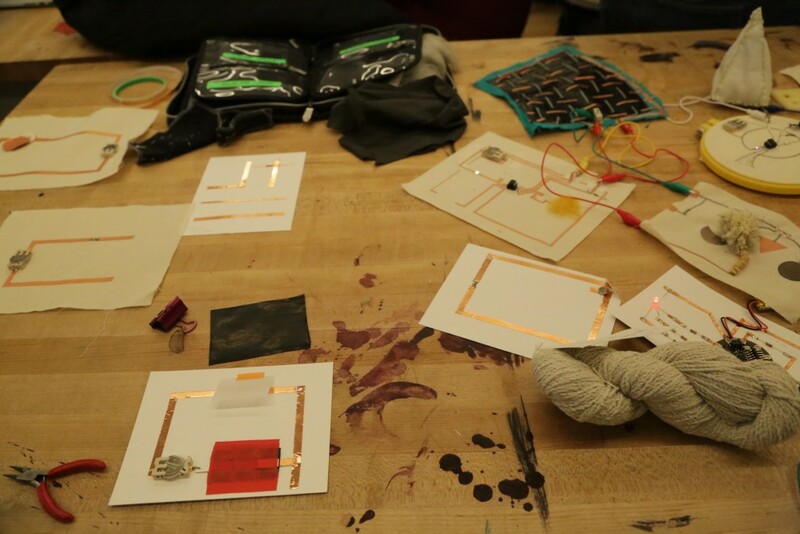 Each participant constructed a circuit that conveyed a personally meaningful message activated by a soft switch. 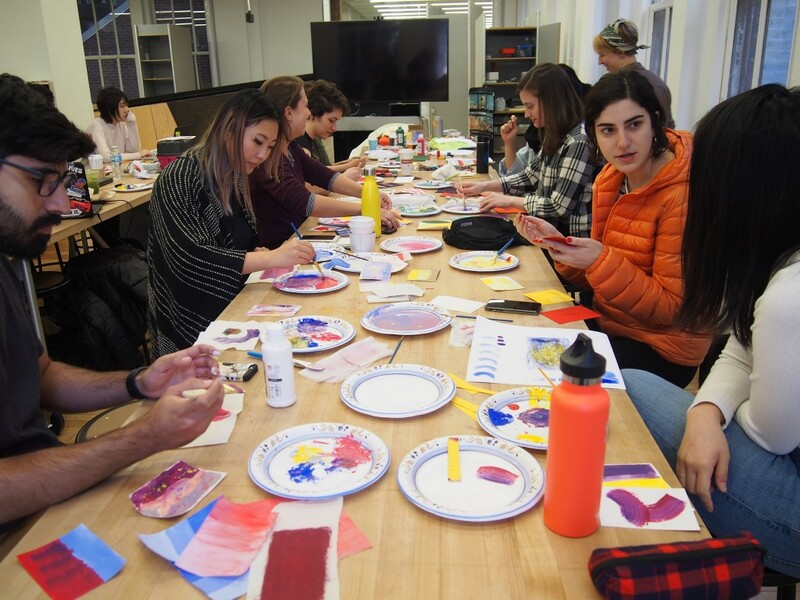 What is the nature of hybrid practices and how do they impact individual’s and communities’ modes of self-expression? 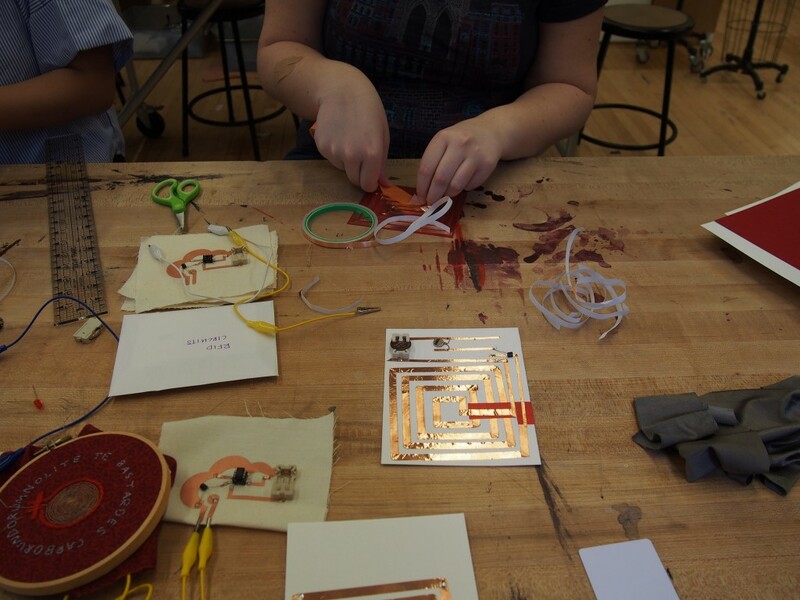 In this workshop, participants constructed their own emblems using thermochromic (heat-activated) inks, shape memory alloys, and DIY motors. 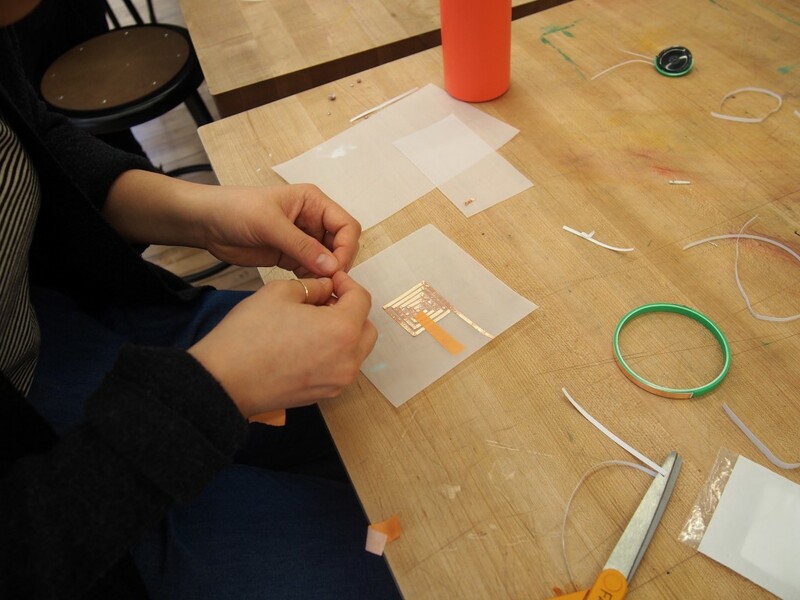 We explored techniques of activating and animating these materials to create our own representations of personal identity. 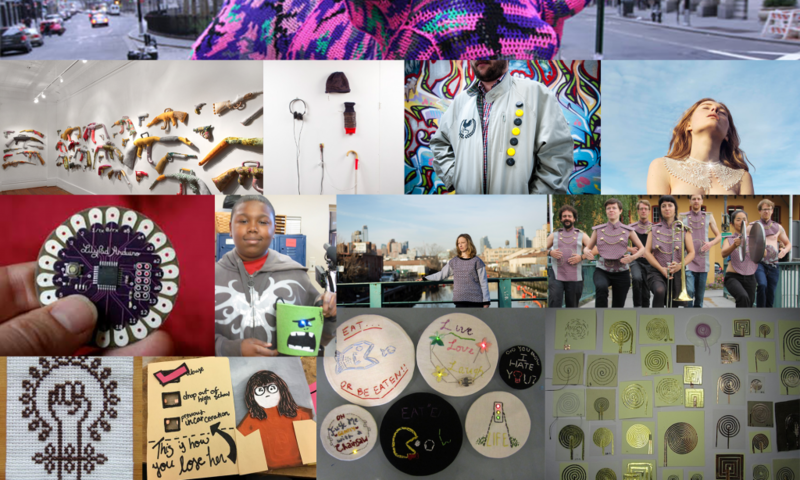 We use personal objects like emblems and badges to reinforce our association with particular communities or to assert our individual identities. 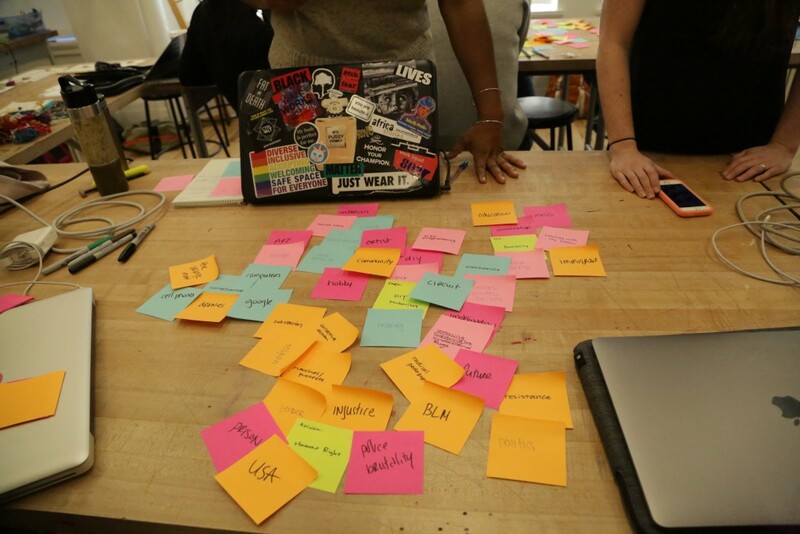 They can act as unifying elements or divisive catalysts linking us to movements, ideas, subcultures, etc. 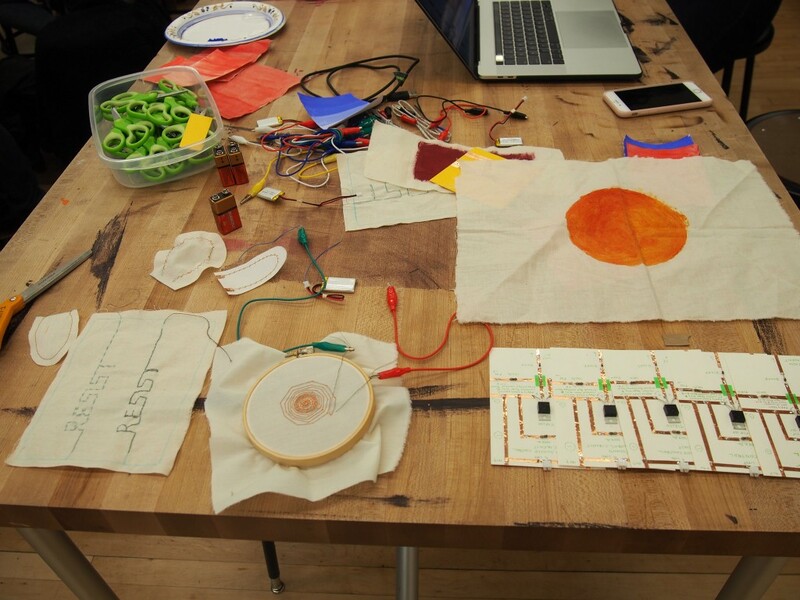 In this workshop, participants investigated how speakers work, then constructed their own speakers out of fabric and paper. 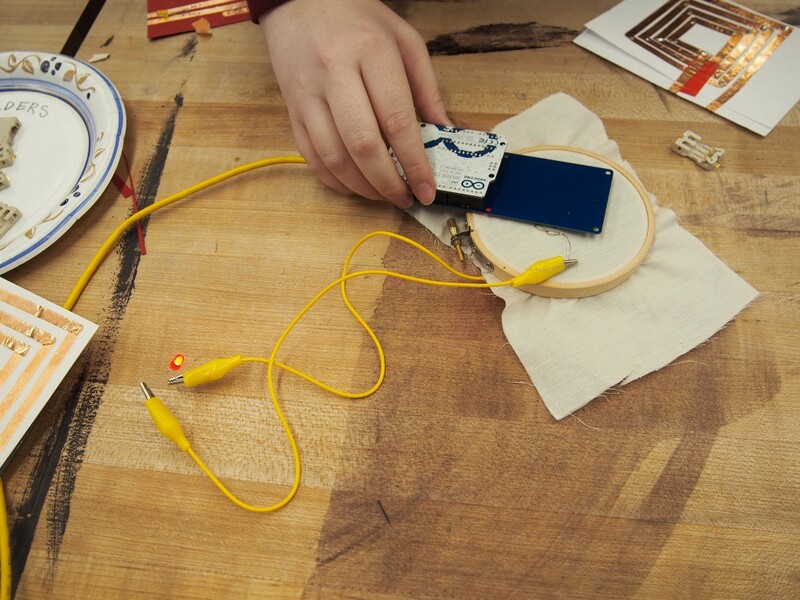 Recorded sound transformed the way we express ourselves, share stories, and compose music. 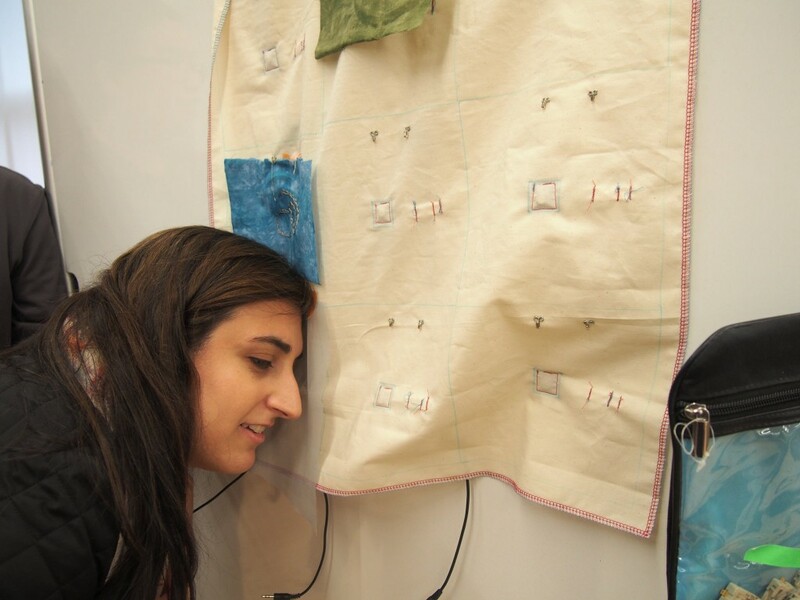 How might we reimagine the experience of storytelling and listening if our speakers were constructed out of fabric or from paper? 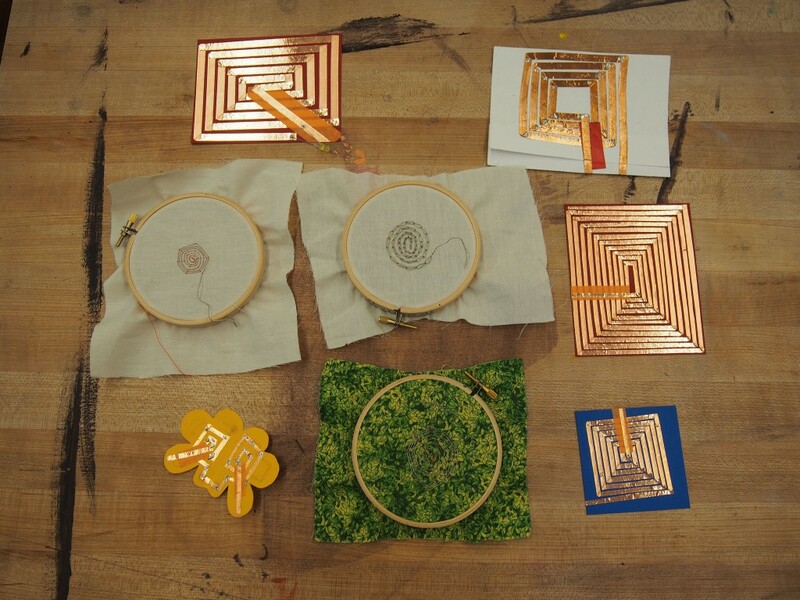 What stories would ordinary objects record and retell from their environment? 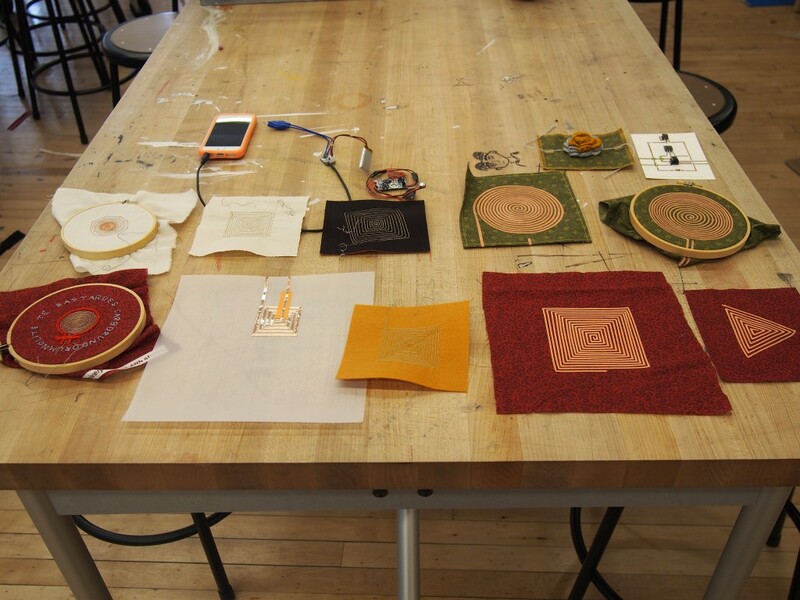 Participants learned basic embroidery, paper craft, and soft circuitry techniques to create their own wireless RFID communication. 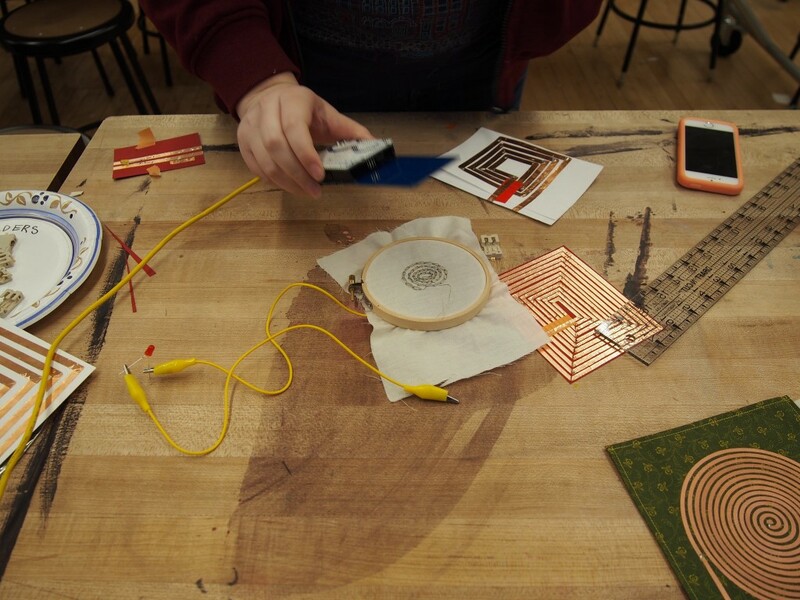 RFID and NFC systems are pervasive — they exist in passports, credit cards, on keychains, etc. 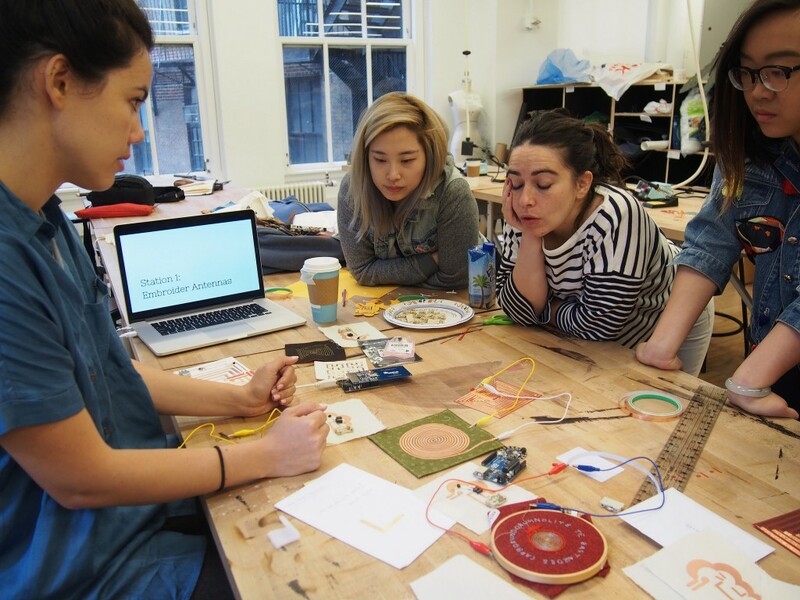 How can people from diverse backgrounds utilize these technologies to create useful, subversive, and/or simple methods for two way communication through crafted objects and body gestures?